Join us this week as we welcome country music singer songwriter, Makayla Lynn. Hailing from Nova Scotia, Canada, Makayla has had musical experiences that many work their whole lives to achieve. Named one of Reverbnation's top new artists to watch, she is a fresh face with an unbelievable talent and huge dreams; a combination that will certainly lead her to an unstoppable career in the music industry. She has already penned over 50 songs and has just finished recording her third album "Daydream" in Nashville, TN which released in June 2014 and has been nominated for the IMEA Country Album of the Year as well as Music Nova Scotia's Country Recording of the Year. Makayla has been fortunate enough to spend time and share stages with Carrie Underwood, The Dixie Chicks, Dwight Yoakam, Kenny Chesney, Toby Keith, Brad Paisley, Tanya Tucker, Bill Anderson, Rascal Flatts, Tim McGraw, Kid Rock and countless others. We will talk to Makayla about her upcoming schedule, get a behind the scenes look at her music, feature her latest songs, and ask her to share her message for the troops. 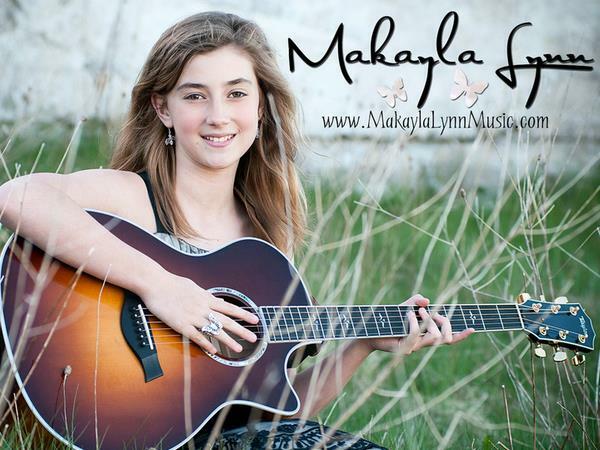 Please be sure to visit Makayla Lynn at http://www.makaylalynnmusic.com/ and spread the word. Fans are welcome to call in and speak live with Makayla during the show (718) 766-4193. If you would like to participate in the live chat during the show, you must sign up on the show site first and then log in during the show. And as always we will give shout outs to our deployed military listeners. Be sure to join us, Sunday 1/18/2015 at 4 PM EST! Our message to the troops....WE do what we do, because YOU do what you do.